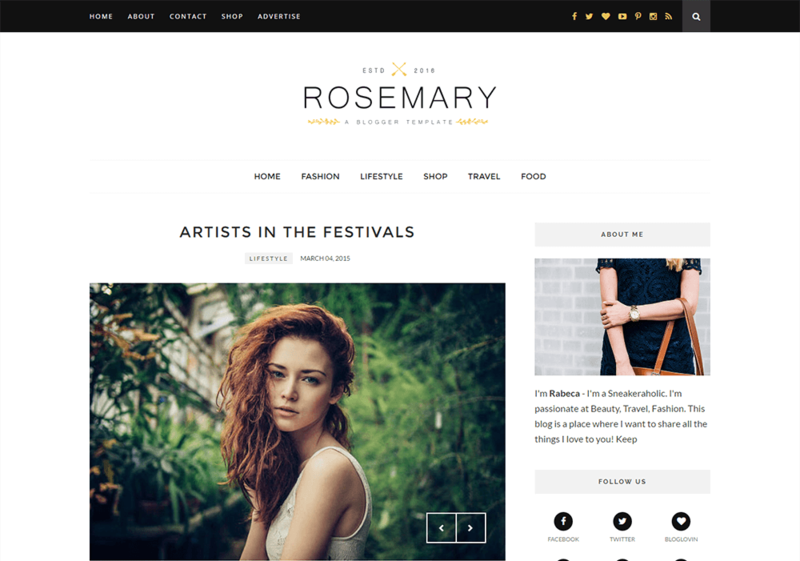 Rosemary is a Multipurpose Clean & Minimal Blogger template with luxury design, tailored to be exceptional on all kinds of blogs. It is a Perfect choice for your Minimalist blog layout,Personal blog, Beauty blog, Fashion blog, OOTD blog, authority blog or any type of creative blog or simple magazine. It has a responsive design meaning your content will be displayed beautifully on all mobile devices. If you are looking for Minimalist blogger template then this is best option for you. Its comes with Three Layout – Fashion, Beauty, Minimal.